Fly flags on January 29, Kansans! Happy Statehood Day 2016! Kansas celebrates 155 years of statehood, though still mired in the worst budget situation of any state in quite a while. Fitting, perhaps, for a state whose admission brought the nation to the brink of civil war — which the nation subsequently plunged into. Regardless the circumstances of its statehood, the U.S. Flag Code urges Americans to fly the U.S. flag on the date their state was admitted into the Union. Kansans, unfurl those colors! Located in the historical records of the U.S. House of Representatives and the U.S. Senate at the Center for Legislative Archives are many documents that illustrate the important role Congress plays in the statehood process. 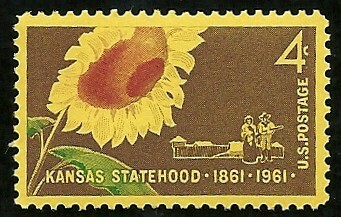 On January 29, 1861 Kansas became the 34th state; 2011 marks its 150th anniversary. Here is a small sampling of the many congressional records that tell the story of Kansas’s tumultuous path to statehood. 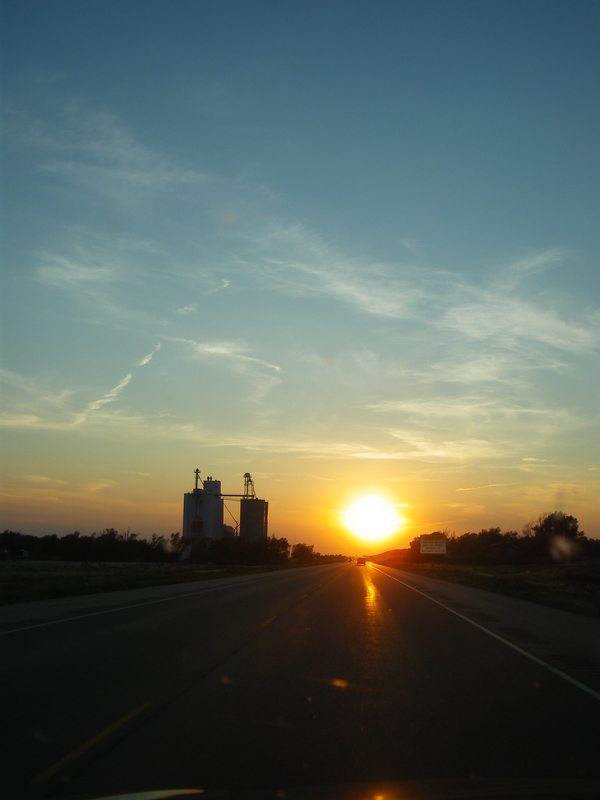 A ball celebrating Kansas statehood a good idea? Typical Kansans, they did it last Saturday; why wait? “Happy birthday, Kansas!” Margaret Hays in the Louisburg Herald. [excerpt] Consumed by the mythical idea a state can perform the essential duties of statehood without public revenue, Kansas Gov. 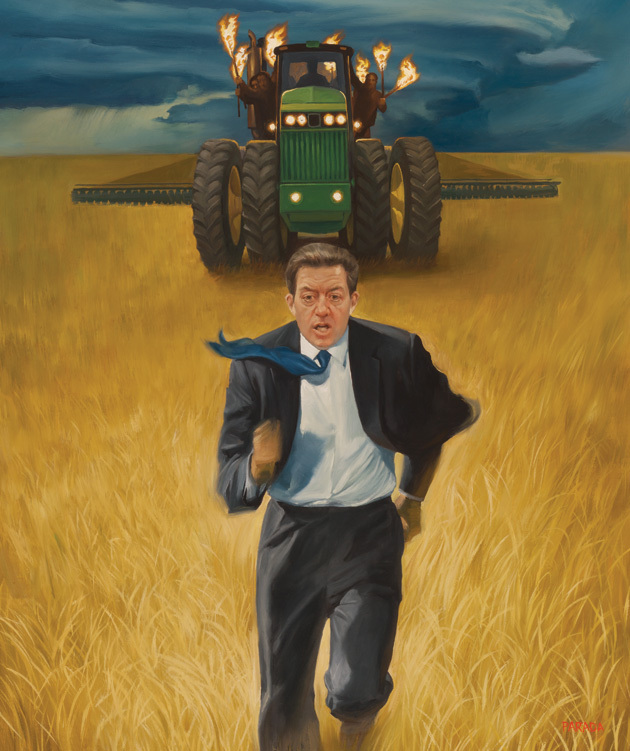 Sam Brownback led his arch-conservative Republican colleagues down a primrose path, slashing taxes with the dream the economy would be stimulated so much tax revenue would increase. 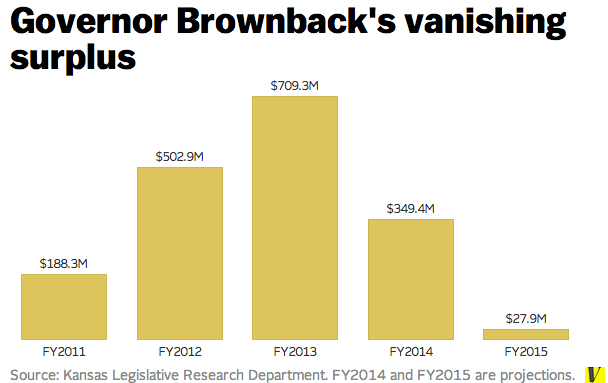 After a season of this foolishness, the state budget is in shambles and Brownback scrambles for a budget-saving retreat. Yeah, it’s processed. Nice image, good photography, deft hand at the computer. Photo of a cabin built in 1872 by Brewster Higley, the lyricist to the so-old-and-loved-it’s-almost-traditional “Home On the Range.” A bill in the Kansas State Senate proposes to designate part of U.S. Highway 36 as the Home On the Range Memorial Highway. 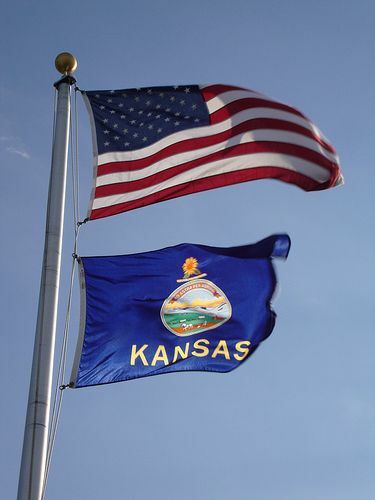 Fly your flags on January 29, Kansans! Happy Statehood Day! 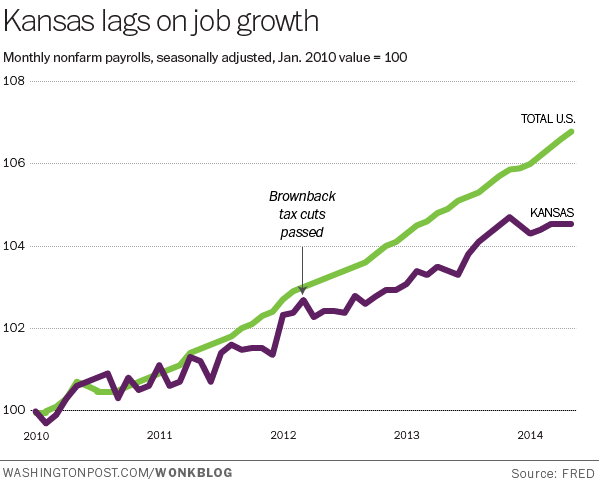 Kansas celebrates 154 years of statehood, though mired in the worst budget situation of any state in quite a while. Fitting, perhaps, for a state whose admission brought the nation to the brink of civil war — which it subsequently plunged into. 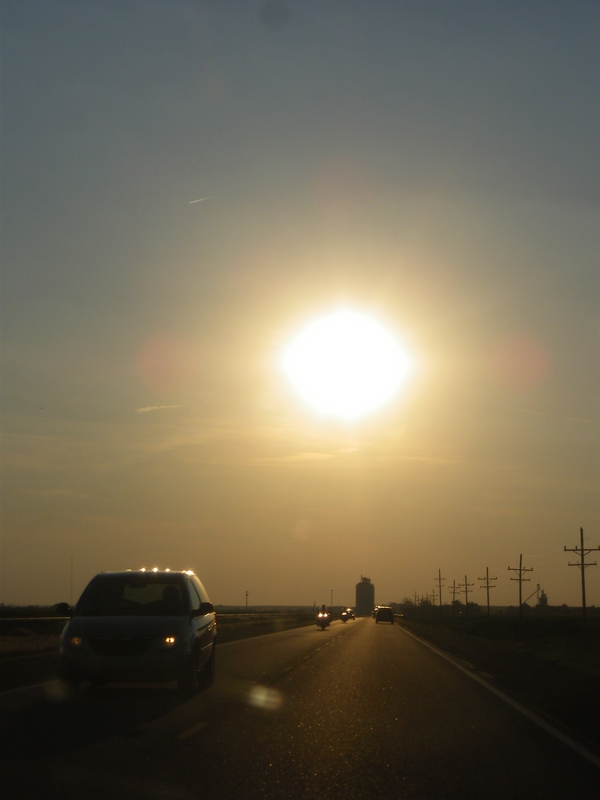 Surely there are much cooler alignments, with better photographers with more than a pocket camera for capture . . .